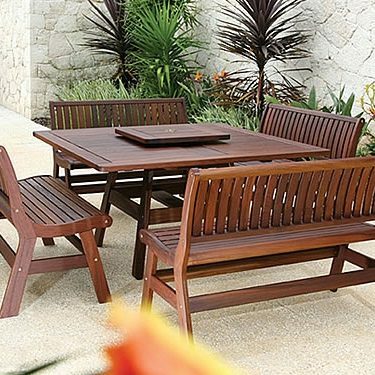 Summer Classics’ Club Teak collection is constructed with a marine-grade teak with mortise-and-tenon joinery. Club Teak’s qualities include a versatile corner piece that can function as a left or right arm allowing it the freedom to fit your life style. The durability of teak and the power to now move it in multipurpose positions is the change in space you have been looking for. Click here to view the full Club Teak collection. Introduced to Britain from France in the 19th century, croquet became the fashionable game of the day. 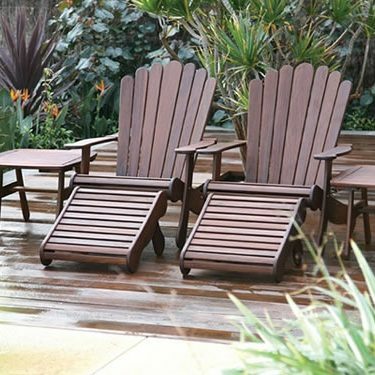 Reflective of the game’s classic timelessness, Summer Classics’ Croquet Teak collection of patio furniture is crafted in marine grade teak with mortise-and-tenon joinery. Click here to view the full Croquet Teak collection. Summer Classics’ patent pending Ocean Grande teak outdoor furniture collection creates the same colors of the ocean sweeping ashore with its high quality Burmese teak in mortise-and-tenon construction. Click here to view the full Ocean Grande collection. Just as a yacht is a different class of sailing or powered watercraft, so the Yacht collection is a unique class of outdoor furnishings. The teak wood from Summer Classics’ patent pending Yacht Collection is hand-woven marine grade with solid brass accents, waterfall arms and turned front legs. Click here to view the full Yacht collection.